Welcoming Aiagoda Morais to True! Congratulations Dhiah, on being named Best Staff of the Quarter for the fourth quarter of 2017! Dhiah, who is also popularly perceived as the mascot of Novena club, is truly a hidden gem. Her sweet and bubbly personality is always able to brighten up one’s day as she greets and engages with members at the front desk. She arrives early for her shift without fail and makes an effort to prepare herself before she starts work. Whether it is responding to constructive criticism or admitting to honest mistakes in her work, she always demonstrates an attitude to learn and move forward. 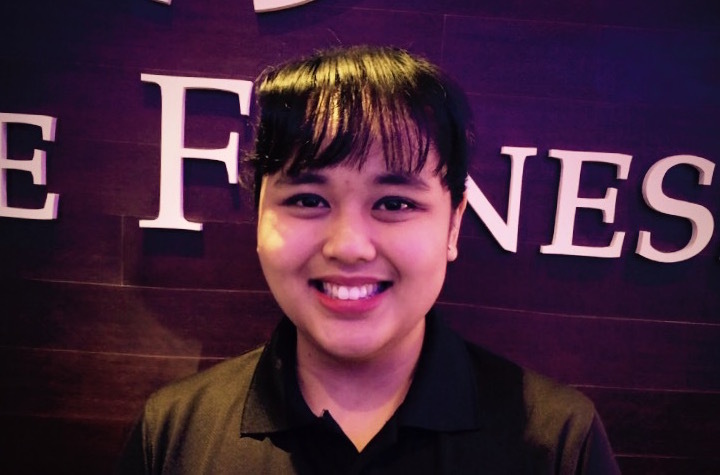 Dhiah is seen as a dependable member of the team, who never ceases to amaze us at how she willingly goes over and beyond to complete the tasks assigned to her.